Tammy - Illy - Ayna - Caroline - Where is Nala?! Aloha~! Now what's with girls dressed up as if they are going for a Hawaiian party?! Well, that was us from Butterfly Project Malaysia team getting ready for the Luau Party with Kinohimitsu and the rest of butterflies at Villa Manja Spa last month. Some of the butterflies girls arrived pretty early and camwhoring definitely perfect past time activity to do. 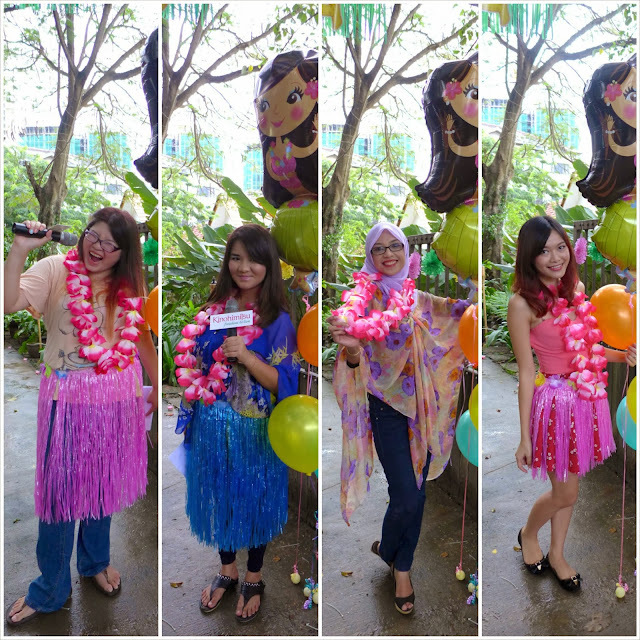 ｡(*^▽^*)ゞ The best part was the awesome feeling to see the girls put effort to dress up for the Luau Hawaiian party! The Luau Party was held at the amazing Villa Manja Spa and gosh! I wish I can stay and enjoy spa all night long at there. 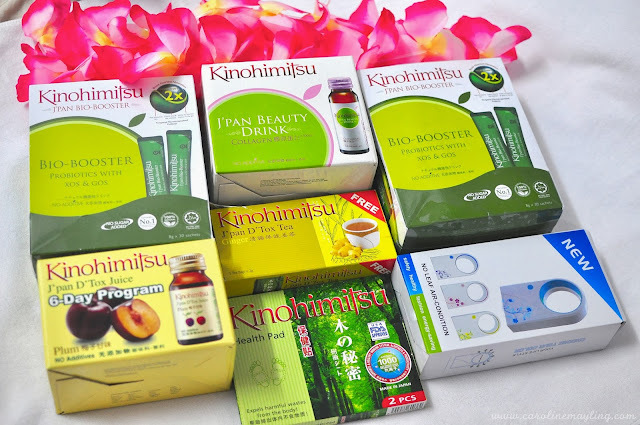 Kinohimitsu J'pan Bio-Booster is the first and only symbiotic-organic to boost the body's absorption power by more than 2 times. It enables the host to obtain the optimal absorption of nutrients from the food, health and beauty supplements and gain the maximum benefits from them. Guess who were the emcees for the day? Our mamasan Tammy and soon-to-be-mommy Illy! Believe it or not, they were quite nervous and worried if it turns out a disaster. *LOL* They actually did a great job on that night! All of us get to enjoy mini pampering session courtesy of Villa Manja Spa. Trust me, the shoulder massage is enough to loosen up your tense and ready to party all night long! One of the best part was the photo booth that set up by 123Cheese.my for the girls to enjoy camwhoring all night long! All the props prepared were all cute and funky that easily spice up your look. Yeap, it's unlimited too! To make it fun, Kinohimitsu has set up several stations and we get to play the collect stamps game! It begins with the "Gifts" station where we get to collect our awesome goodie bag that prepared by Kinohimitsu. The girls then can proceed to the next station - "Boost!" station where we get to try the powder and the liquid version of the latest Kinomitsu J'pan Bio-Booster. It was quite yummy! Next would be the "Spin & Win" station where we can try our luck to win some prizes! Too bad I have no luck to win the grand prize and just won myself a portable USB fan. Last but not least, the cocktail bar where we can enjoy Kinohimitsu drink in a cocktail glass. It was a fun "spin and win" game as doesn't matter how you spin it, you're surely entitled to a gift! All of us were gathered around and start with playing some fun games! Well that's to make us understand more about the new product which is pretty interesting and definitely fun! We were then briefed with more details on the new Kinohimitsu J'pan Bio-Booster drink. I just can't wait to try and experience the result on my own. There was also a session with celebrities where they actually shared about their amazing experience throughout journey with Kinohimitsu collagen drink. It's convincing for sure! Guess what? We were all well entertained by the dance performance of dance instructors from Celebrity Fitness! I have been always envying on people who can do the belly dancing!